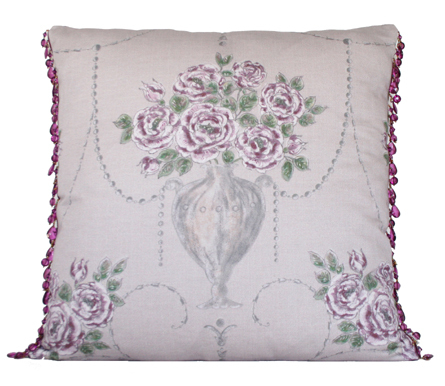 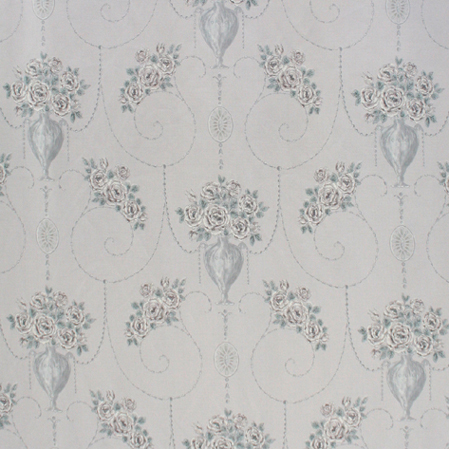 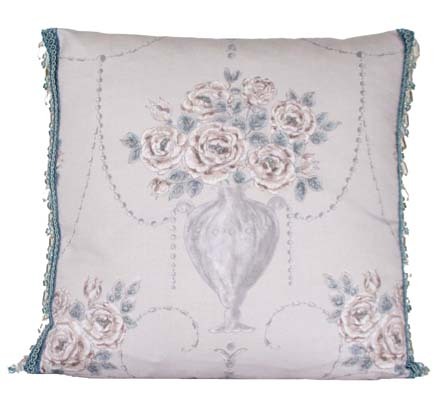 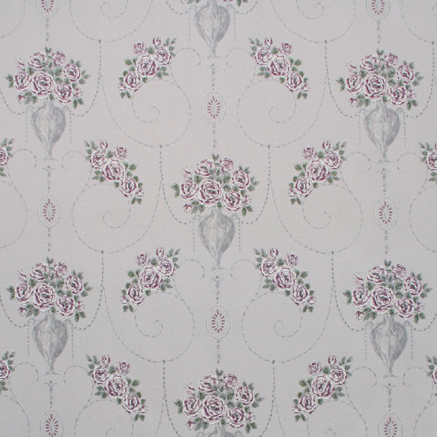 ANTONELLA is a design influenced by the European Renaissance era, which presents an artistic impression of woven fabric texture with overlays of delicate floral bouquets of Gallica Roses. 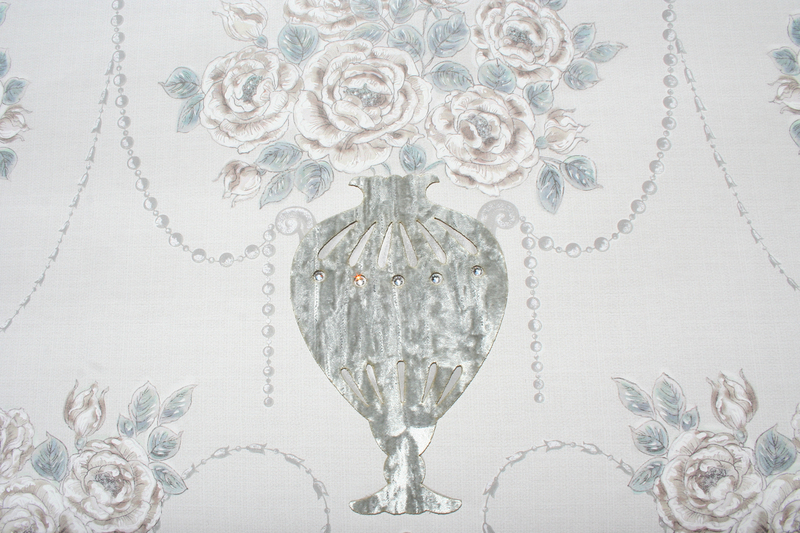 This design is enhanced with an impression of hand painted finishes of metallic paint and watercolours, creating a three dimensional effect to this antique style. 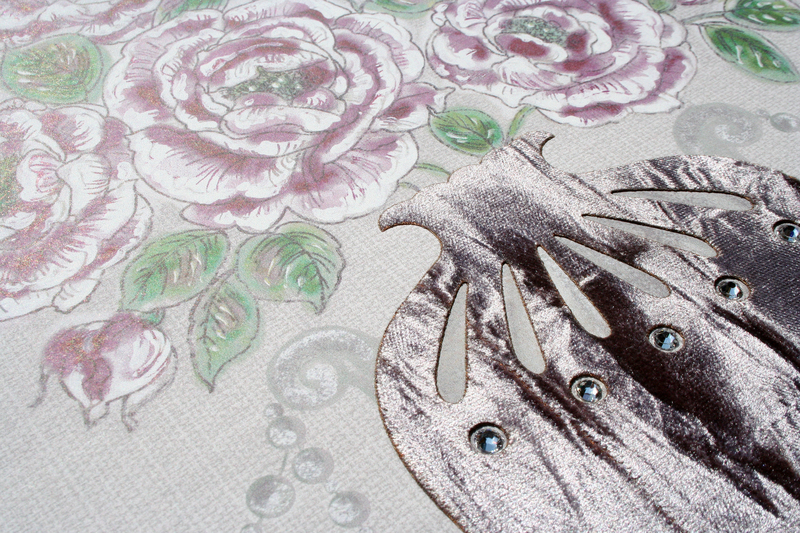 In addition this design features a hand crushed velvet fabric, using the appliqué technique with authentic SWAROVSKI ELEMENTS.